The first computer lighting controller to operate on Broadway in 1975 on the original production of "A Chorus Line". It incorporates a DEC PDP-8A, but is a stand-alone lighting controller. 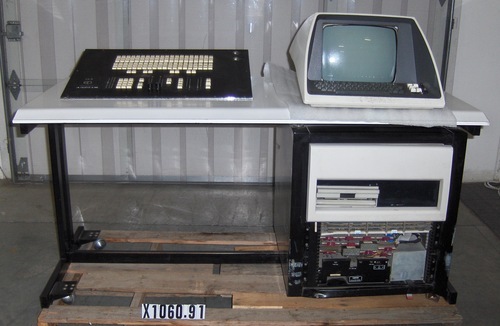 Consists of a pedestal desk on casters with PDP-8 chassis on the right, that includes 8" floppy disk drive, and 5 PC boards. On the top right left is the lighting control board with 120-channel selectors, 5 sliders, and misc. buttons. Detached video terminal on the top right side.